We are delighted to be able to announce the return of electronic music band Le Galaxie to Limerick in November. The band will return to Dolans Warehouse on Friday, November 9th. Le Galaxie are now firmly established as Ireland’s number one live dance act with their brand of thundering electro, bursting to life with shimmering cyber-synths, pounding techno rhythms and guitar wizardry. The debut album, 2012's LASERDISC NIGHTS II, was voted Number One Irish Album of the Year by Entertainment.ie. 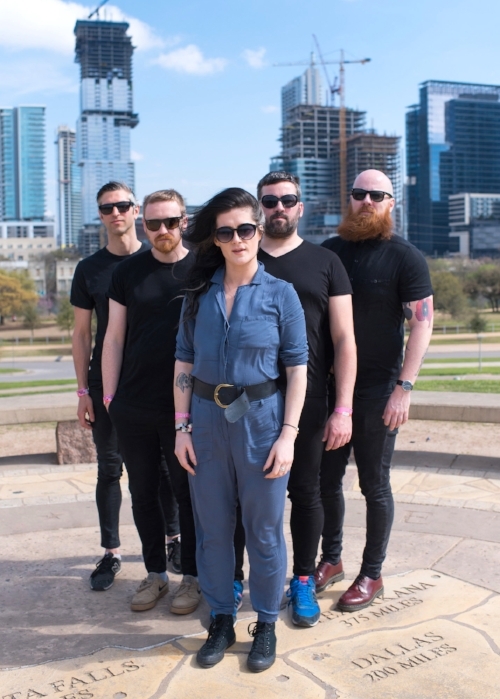 Described by The Irish Times as a band who have “transformed themselves into a juggernaut of a party band, jack knifing into crowds who are only too happy to take the hit”, Le Galaxie played the iconic global music industry event SXSW Music Festival in Austin, Texas earlier this year. The band’s frequent collaborator MayKay went full Le Galaxie in 2017, just as the band signed both a US record deal and an extension to their US publishing deal with Reservoir Music. Their 2015 second album, Le Club, was mixed in Los Angeles by former DFA Records house engineer Eric Broucek and combined their signature sound with completely stunning female guest vocals Elaine Mai, MayKay and Senita Appiakorang. LE CLUB was written and recorded in tandem with the bands relentless live schedule, which included sellout shows in Ireland's world famous Olympia Theatre, Berlinfest, Midem (France), SXSW, CMJ (New York), Benicassim (Spain), Lovebox (London), Eurosonic (Holland) among literally hundreds of other shows. The band's third album Pleasure was produced by Swedish pop mind Blende and was described by the band as their manifestation of their dream to create a truly great studio dance record. The band's first track, written with newly added band member MayKay was entitled Pleasure and was released worldwide earlier this year. Le Galaxie was was formed in Dublin by Michael Pope, David McGloughlin, Anthony Hyland and Alastair Higgins. They played their first show as Le Galaxie in The Boom Boom Room in 2008, followed by regular sets in Whelan's, Crawdaddy and the Button Factory. As the band's audience grew, Le Galaxie's reputation as a live act has seen them headline Irish festivals such as Sea Sessions, Body & Soul Music Festival and Castlepalooza, and have performed at Secret Garden Party, The Great Escape Festival, Midem, Electric Picnic, SXSW, CMJ, Europavox and Longitude Festival. Speaking at today’s announcement Neil Dolans said: “Le Galaxie gigs are simply incredible. This summer the band play a host of Irish festivals and the opportunity to see them perform in the more intimate setting of Dolans Warehouse is something fans will not want to miss”.